As soon as your child is counting up a storm, it's time to introduce basic subtraction within 5. 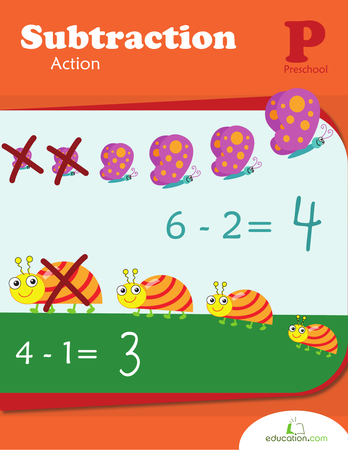 These Education.com worksheets keep it simple by teaching subtraction with numbers under 5. maths stories make subtraction fun and introduce word problems to little learners. Continue to develop students' beginning maths skills by including activities from our Addition within 5 resources. This colour-by-number puzzle provides a creative opportunity to practise simple addition and subtraction. How many stars and planets can you count? Get your kindergartener ready for elementary school maths with this introduction to subtraction worksheet. Take it away! Worksheets with space pictures help to introduce your child to subtraction, encouraging basic maths skills and emphasizing the concept of taking away smaller numbers from larger ones. Counting and subtraction come together in this Easter maths worksheet for visual learners. Kids will learn how to subtract by ones and twos in this worksheet. Is your kindergartener a maths whiz? 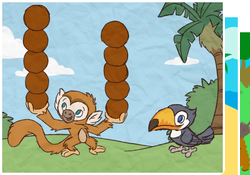 Test his knowledge of subtraction with these simple word problems, made just for beginning learners. Make subtraction delicious with this fun "fishing" game! Learning to take away will be delightful when your students fish for goldfish crackers. How many buttons are hiding under the bowl? Use this bowl counters worksheet to help your child visualize the concept of subtraction. Vroom vroom! How many vehicles can you count? 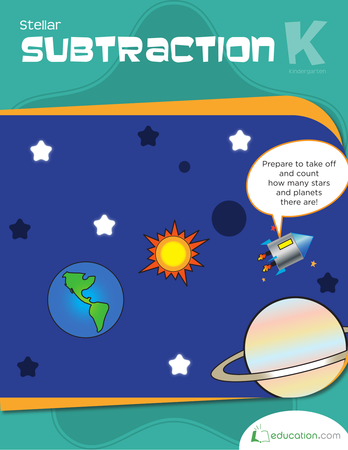 Get your kindergartener ready for elementary school maths with this introduction to subtraction worksheet. Is your preschooler a princess in disguise or a knight on a quest? Either way, encourage fantastical imaginations with this maths story about a tired princess. 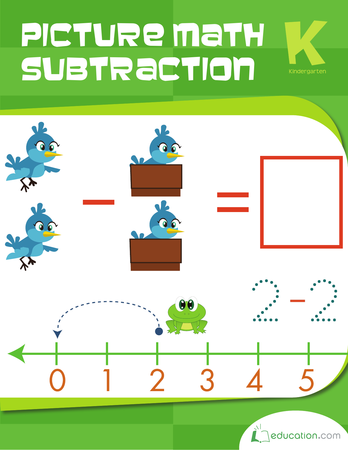 Spread your maths wings, it's time for some subtraction practise! Count up the butterflies in this picture. Slip a bit of subtraction practise into this classic fairy tale with Cinderella maths! Put your little carpenter to work and count the tools! This beginning maths worksheet will get your kindergartener ready for elementary school subtraction. 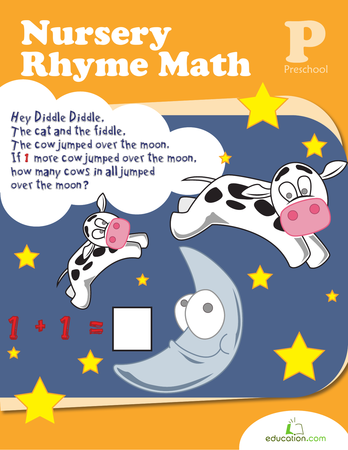 Let your preschooler dive into this adorable maths worksheet that may just remind her of her favorite storybook. This worksheet borrows from the story of the three little pigs in order to introduce preschoolers to both word problems and subtraction within 5. 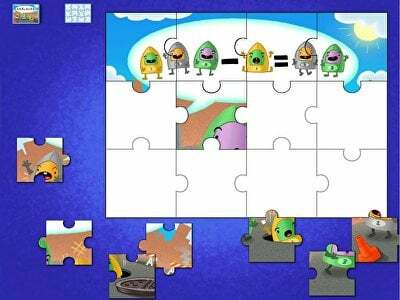 Use the fairy tale of the princess and the frog to teach basic subtraction to your preschooler! This worksheet will give your kindergartner practise with counting and simple addition.